Business owners and C-suite executives conduct business wherever they 365, 24/7. Global transactions, international business partners, deadlines, emergencies and other situations demand attention after hours, on the weekends and even during the holidays. You have a duty and obligation to take care of business when business requirements demand attention . . . from wherever you are. In our digital world, maintaining your privacy becomes even more complex and more challenging. How can you have a reasonable assurance that your communications remain private? ComSec LLC created THE UMBRELLA OPTION around the needs of business owners, C-suite executives and high-profile individuals who are digitally engaged. Your cell phone, laptop, iPad and other electronic devices may be the target of illegal eavesdropping. And, if the eavesdropper is effective, your business and/or your personal life could be negatively and profoundly impacted. So, it’s imperative that you take concise action aimed at reducing the risk of corporate, economic and industrial espionage introduced by your electronic signature. Shareholders, board members, clients, employees and family members are relying on the effectiveness of your risk management activities. Remaining unaware of the threats and/or unprotected is not a responsible decision! Why Choose The Umbrella Option? THE UMBRELLA OPTION is a comprehensive Cyber Technical Surveillance Counter Measures (CYBER TSCM) program designed with exclusive business owners, C-suite executives and high-profile individuals in mind. Our goal is to ensure areas where you routinely conduct business are inspected, your digital security posture is examined, and you are armed with devices, tools and knowledge to protect your valuable information 365, 24/7. We tailor the program to meet your needs, including inspections and examinations of your executive offices, conference room(s), off site meeting areas, home, jet, yacht, etc. We can provide services in the US, and destinations throughout the world as needed. Our goal is to provide an effective risk management solution that considers your specific needs! Click Here for pdf. Contact us today to inquire about THE UMBRELLA OPTION! Current News – Eavesdropping Threats, Events, Exposures, etc. Because You Need An Umbrella of Privacy Wherever You Are 365, 24/7! 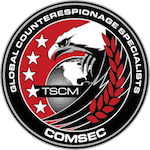 ComSec LLC is a world-class professional technical surveillance countermeasures (TSCM) and Cyber TSCM company serving clients in the US, as well as globally. Our company utilizes detection methodologies and equipment that have been proven superior at identifying eavesdropping devices and exposing surveillance tactics. When you choose ComSec LLC’s professional TSCM / Cyber TSCM services, you can be certain we are equipped and ready to perform an effective, world-class TSCM/Cyber TSCM service. Our TSCM specialists have extensive knowledge of TSCM fundamentals, spying tactics and eavesdropping devices. Our TSCM specialists receive professional training in the application and proper use of ComSec’s TSCM equipment. ComSec utilizes proprietary operational methods and techniques in providing professional TSCM / Cyber TSCM services. ComSec’s equipment resources include a wide range of sophisticated (classified and unclassified) commercially available, Cyber TSCM and telecommunication test and measurement equipment. All TSCM/ Cyber TSCM equipment is regularly qualified, serviced and maintained to the highest technical standards available. ComSec’s eavesdropping detection equipment is constantly upgraded to meet new and emerging technical surveillance threats. This practice ensures that we are prepared and fully capable of handling all known threat levels as well as the continuous technological advancements with regards to covert Technical Surveillance Devices (TSD), Technical Security Hazards (TSH), espionage methods, techniques, compromises and the more common non-electronic methods of compromise. ComSec carefully analyzes each individual survey assignment and selects different combinations of equipment, inspection methods and techniques as required for both known and developing threat levels. J.D. LeaSure is ComSec, LLC’s founder and has served as the company’s President/CEO since 2007. J.D. founded the Virginia based service provider to ensure an experienced and knowledgeable Counterespionage, Countersurveillance, Cyber TSCM and Technical Surveillance Countermeasures TSCM service provider was accessible in the greater Virginia/DC Metro area. Due to high demand for his expertise, ComSec has since expanded its area of service nationwide throughout the United States and to clients throughout the world. ComSec has enjoyed steady growth and noted a staggering increase in public interest in the counterespionage and counter surveillance segment of the business since 2007. 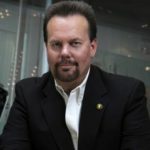 He is now the Director of The Espionage Research Institute International (ERII), and a full member of the Technical Surveillance Counter Measures Institute (TSCMi). He is also an active contributor to the world of counterintelligence and technical surveillance countermeasures. ComSec is affiliated with many other industry organizations in order to continually remain at the leading edge of the industry. Contact ComSec for immediate assistance using our secure contact form. Or Call ComSec at 1-800-615-0392 for immediate assistance.